In the past couple of years, this new form of retinoid (Vitamin A) got under the spotlight for its anti-aging superpowers. Fans say it gives you the same benefits as retinol without the side effects. Me? I wouldn’t go that far. So far, all the studies that prove its wrinkle-fighting abilities come from the manufacturer. Call me sceptical, but I need more proof than that. Having said that, I wouldn’t dismiss Granactive Retinoid like that. If you’re new to retinoids or have skin so sensitive it can’t tolerate retinol, Granactive Retinoid can be a good alternative. 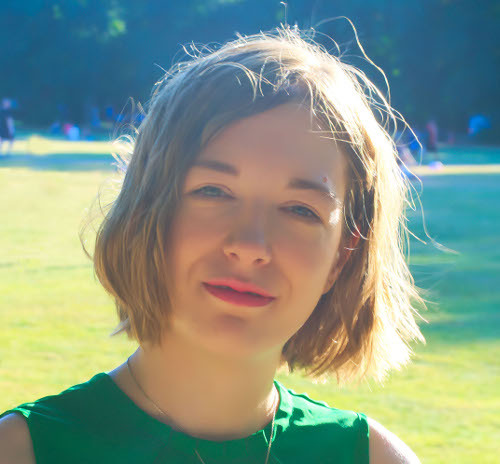 If you’re a bit further ahead on your retinoid journey and can easily tolerate retinol, why not go for products that have both forms of vitamin A? I do it all the time. P.S. Granactive Retinoid is the nickname for hydroxypinacolone retinoate. Because, who the heck can remember that?! No matter what form of retinoids you’re using, I’m a big believer in starting with a small concentration and working your way up slowly. Mad Hippie Vitamin A Serum is the perfect place to start your retinol journey. It only has a few drops of hydroxypinacolone retinoate – just enough to work its magic but not enough to irritate your skin. Plus, the serum is loaded with moisture-magnets like hyaluronic acid that deliver a big dose of water into the skin and phytoceramides and natural oils to strengthen the skin’s protective barrier’s against irritants. Hello, smooth, soft skin! The Ordinary Granactive Retinoid 5% In Squalane keeps it simple. It only has 7 ingredients, including granactive retinoid and Squalane. That’s good because every ingredient you add to a skincare product has the potential to cause another flareup in sensitive skin. Granactive retinoid keeps wrinkles at bay while Squalane provides a moisturising base that keeps skin soft and smooth. If retinoid serums – or anything else for that matter – makes your skin throw a tantrum, give this one a go. Seriously, if you can’t tolerate this, retinoids are NOT for you. Hydroxypinacolone retinoate doesn’t play solo here. The Ordinary Granactive Retinoid 2% Emulsion also has microencapsulated retinol, making it more powerful (and harsher) than the serums above. If you’re ready to upgrade, this is a great – but basic – option to consider. The two forms of retinol smoothen out wrinkles. Bisabobol and Tasmanian pepperberry soothe skin, making retinol more tolerable. Glycerin and a coconut oil derivative moisturise skin, counteracting any dryness from the retinol. What’s missing? The oily base of the other The Ordinary retinoid products. If you can’t stand that, you’ll love this emulsion. If you prefer to use all natural skincare products, get your hands on Pestle & Mortar Superstar Night Oil. This baby uses two forms of retinoids – retinol and hydroxypinacolone retinoate – to smoothen out wrinkles and brighten the complexion. The rest of the formula is made up of a bunch of natural oils with moisturizing and antioxidant properties: they counteract the drying side effects of retinoid and help it fight off the free radicals that give you wrinkles. The best part? Pestle & Mortar has stayed away from citrus, lavender, sandalwood and all those fragrant oils that can irritate sensitive skin. Bravo! Indeed Labs Retinol Reface is one of the most powerful retinoid products I’ve ever tried. Powerful in skincare means MORE effective – but also potentially MORE irritating. You’ve guessed, this isn’t for newbies. You have to work your way up the retinol scale before you’re able to use this one. But it’s worth it. It has 3 forms of retinoids: hydroxypinacolone retinoate, retinol and Palmitoyl oligopeptide, a retinol-like peptide that boosts collagen production. They’re nestled into a silicone base that helps the product glide smoothly on your face. The only con? It has no soothing agents to counteract the irritation and dryness from retinol. That’s why you need to be a pro to use it. 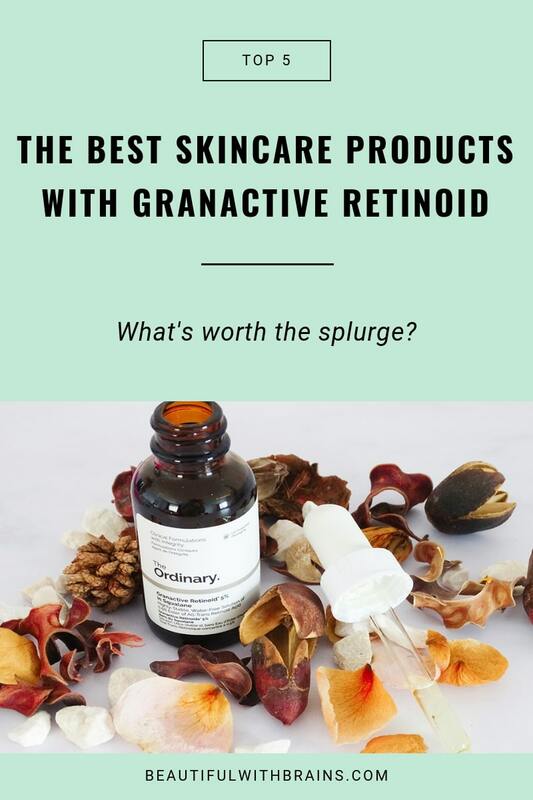 What do you think are the best skincare products with granactive retinoid? Share your picks in the comments below.